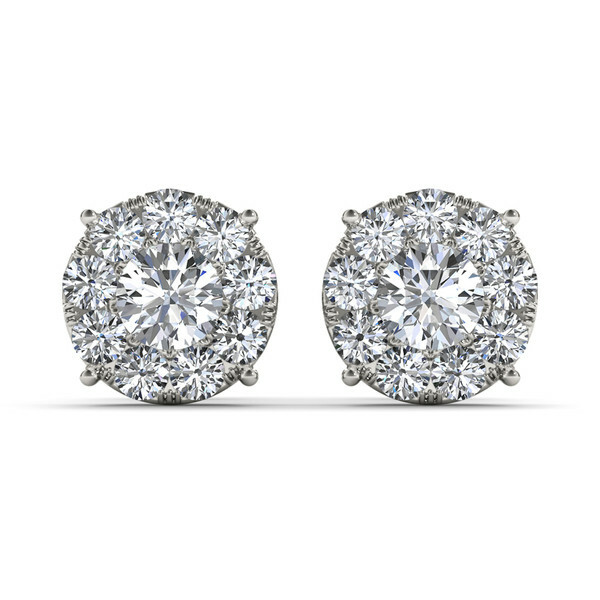 Balance your look with a bit of sparkle. 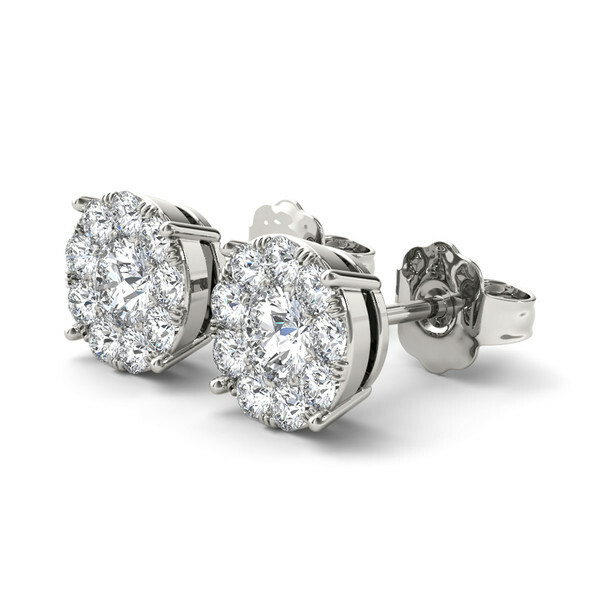 Fashioned in 18 karat white gold, these eye-catching stud earrings featured a round 0.12 carat diamond centre stone surrounded by a frame of 16 round accent diamonds. 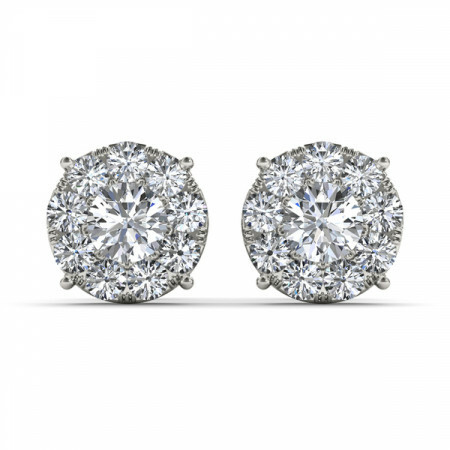 Total carat weight 0.31 carat.